With Kalimpong being upgraded to a district, the state government is set to amend the Gorkhaland Territorial Administration (GTA) Act. State home department has recently initiated the process for the amendment. It has sought opinion from the law,panchayat and a host of other departments in this regard.Following this, the draft would be sent to the law department and then tabled at the Assembly. Presently,GTA comprises the three hill sub-divisions of Darjeeling district,namely Darjeeling, Kalimpong and Kurseong and 18 mouzas of Siliguri sub-division. 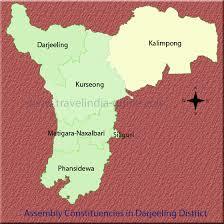 Now, once Kalimpong is a district, there will be a change in the composition of GTA. It will now have two instead of three sub-divisions of Darjeeling, namely Darjeeling and Kurseong and a new district of Kalimpong along with the mouzas of Siliguri sub-division. Again, GTA is headquartered at Darjeeling subdivision as Darjeeling presently is the sole district. The GTA has a Regional Transport Authority with the Darjeeling DM as its chairman which might have to be revised along with the composition of the 50-member GTA Sabha. The fund allocation for development of the district that was divided among the three sub-divisions is likely to be amended as well. As GTA would consist of two districts, the amendments are being worked out in line with the structural changes that it would undergo. Again, the significance of the GTA should not be lost as well, said a source. 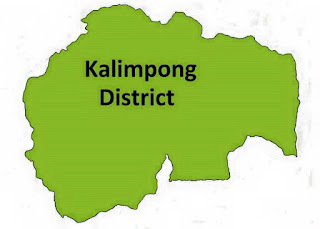 Chief minister Mamata Banerjee has already announced Kalimpong as a separate district and now work is on so that the subdivision can start functioning in its new role as soon as possible. For this, land is being selected for setting up the offices of the various departments that will be housed in the new district along with the district magistrate's office. The government wants to bring in the amendment fast so that GTA does not face any problems in operation due to technical reasons. 0 Respones to "BENGAL GOVT SET TO AMEND GTA ACT SOON KALIMPONG ON ITS WAY TO BEING UPGRADED TO A DISTRICT"